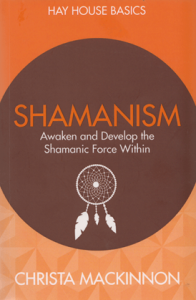 An excellent practical introduction to shamanism, Shamanism: Awaken and Develop the Shamanic Force Within (part of the Hay House basics series) covers the primary subject and gives information about practices in clear cut detail. Author, Christa Mackinnon, includes selected exercises readers new to shamanism can use by themselves to journey for personal healing and development and includes useful examples of journeys from the author’s own and other’s experiences. 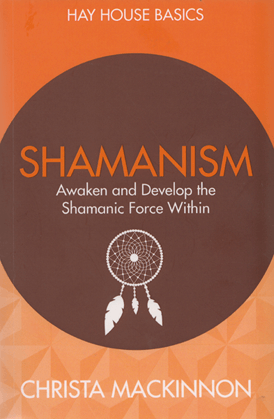 Shamanism: Awaken and Develop the Shamanic Force Within is a very well written ‘how to’, giving clear, easy to read instructions including: how to create sacred space; contact and connect with your spiritual helpers and ancestors; create ceremony and much more. Perfect for beginners who don’t know where to begin! Christa Mackinnon. Shamanism: Awaken and Develop the Shamanic Force Within. Hay House Basic Series. Hay House (2016). ISBN: 978-1781805879.